The return of airliners flying at supersonic speeds has moved a step closer with aerospace heavyweights Rolls-Royce and Boeing backing a British company developing engines capable of powering aircraft at 2,500mph. Reaction Engines has agreed a ?26.5m fundraising round with the industry giants, as well as blue-chip financial backers Baillie Gifford and Woodford Investment. 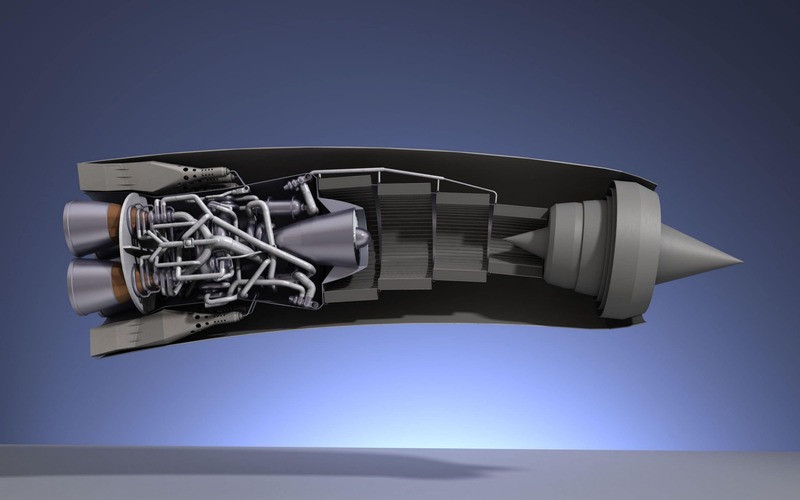 The Oxfordshire-based business is building “Sabre” – short for Synergetic Air Breathing Rocket Engine – a new design which combines a conventional jet with a rocket. This means it can work like a normal jet, then as it hits high speed can switch to operating as a rocket which does not need air as it reaches altitude where the atmosphere thins. As well as supersonic passenger flight, the technology could hasten the arrival of low-cost satellite launches. Being able to operate as a rocket fuelled by liquified oxygen means Sabre could be used to power spaceplanes which take off and land like conventional aircraft, rather than current rockets which are expensive as they burn up on re-entry. Mark Thomas, chief executive of Reaction Engines, described the investment as a “Whittle moment” for the company, referring to Sir Frank Whittle, the inventor of the jet engine. “We’re creating a new class of engine and getting such blue riband names on board is a great endorsement of the company and the technology we are pushing,” he said. This the second major round of investment by the industry for Reaction Engines. Three years ago BAE Systems took a 20pc stake in the company for ?20m, and the defence group increased its holding in the latest fundraising. “It’s the dream team for us,” Mr Thomas added, saying there is the potential for Rolls-Royce and Boeing technology to be incorporated into its work, as happened with BAE, with arms company’s engineers working on the designs. 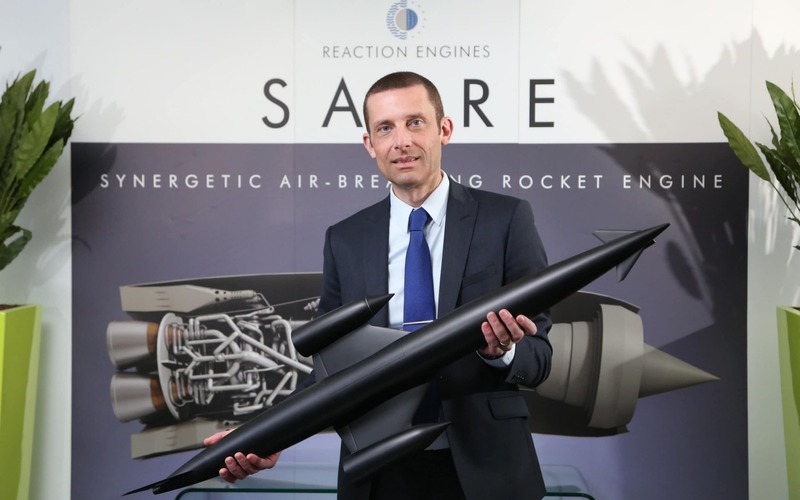 Reaction Engines has 160 staff and will use the new funding to expand and achieve its target of the first test of the Sabre engine in 2020, which will take place in the UK. Mr Thomas said he expects Sabre engines to be powering spaceplanes within a decade, with supersonic air travel coming later, though the recent trend for faster-than-sound private jets is “encouraging”. Before the company starts testing the complete engine, it hopes to be generating revenue from spin-offs of technology developed as part of the programme. The main hope for this is the lightweight, compact and super-efficient heat exchangers which cool air entering the engine to a point where it is almost liquid. These devices are designed to achieve cooling rates of 1,000 degrees celsius in 20 milliseconds, and have many other applications, such as in conventional aircraft engines, managing heat in electric cars and the energy industry. BAE’s investments also highlight the potential defence applications, such as weapons capable of flying at hypersonic speeds. The latest investments value Reaction Engines at about ?150m, but if it successfully develops Sabre and spin-off applications the value is likely to soar.